← Flavored crisps in the U.S.A. If you loved the British (and original!) version of “The Office,” I have good news. Ricky Gervais is reprising his role as David Brent this month in “The Office Revisited.” It’s a one-off episode made as part of BBC Comic Relief, which will be shown on BBC One on March 15. 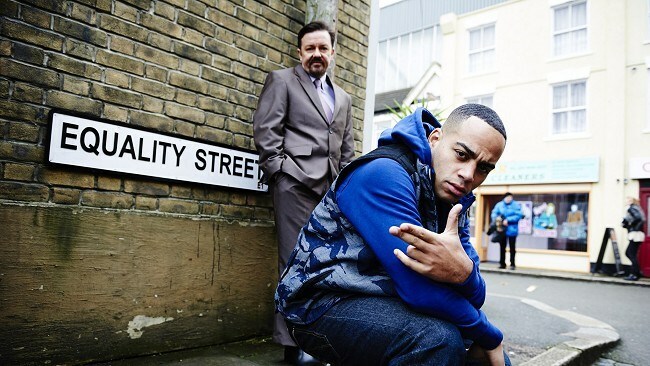 I, for one, and am looking forward to catching up with David Brent and finding out what he’s up to these days! Posted on 4, March 2013, in TV and tagged BBC Comic Relief, BBC One, comedy, David Brent, Ricky Gervais, The Office. Bookmark the permalink. Leave a comment.